I have no excuse not to blog today. This is the third snow day in a week and I am going stir crazy over here. I've cleaned the house, finished the laundry, put away the laundry, cleaned out the pantry, cleaned out the refrigerator, put on a pot of chili, and organized my make-up storage. Now I am sitting here under my favorite Pottery Barn faux fur blanket and I thought I would say hi to you all and share 5 things that I am loving this week. I go through phases. Maybe you do too? I will find a lipstick or a foundation that I love and I will use it until I feel like I want to try something else. I go through food cravings and I will eat that particular food until I am sick of it. I am the type of person that is always evolving and I love to try to new things. That is why Tidbit Tuesday is perfect--so I can share what my "flavor of the week" is. :) Leave a comment for me in the comment section and tell me what you are loving at the moment...or if you've tried what I have! I am loving this foundation routine at the moment. I have combination skin, especially in the winter, and this particular foundation is so matte and has about medium coverage. It controls oil all day. Usually, I have such a hard time with drugstore foundations. I like to try my foundations before I purchase them which is why I usually go to Nordstrom. I like to get an exact match in color. But, I decided to be brave and just try it because I have heard rave reviews about this particular product. 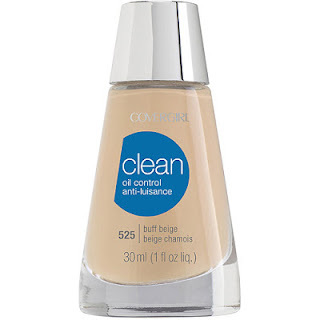 A little tip when trying to match drugstore colors without opening them-- just put the bottle right up to the back of your hand. It normally is the same color as your face. When applying this foundation, I would definitely use a damp beauty blender so the foundation goes on easier. If you don't have one of those, just wet a drugstore makeup sponge and pat, pat, pat. If you follow me on Instagram, (@thetaylordiary) you are already well aware how much I love these little guys. I particularly can't wait to see what it looks like with a tan in the summer. They have so many different colors. I went with the color Rose Petal which looks like a light, peachy pink. I usually have a big problem with cream blushes settling into my pores and causing build up but it doesn't do that at all. The only complaint I have about this product is that it isn't very long wearing. But, the good thing is that you don't need a brush to apply it so I usually just throw it in my purse and re-apply throughout the day. 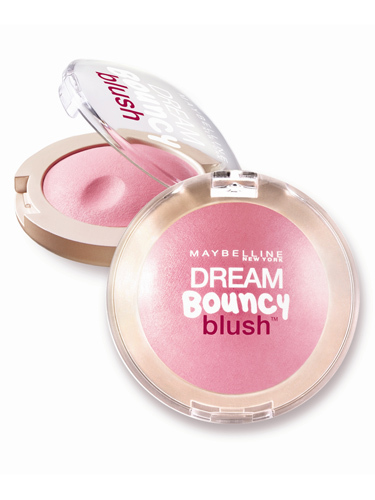 I also love matching my blush to my lips so sometimes I will just dab a bit on my finger and apply to my bottom lips to create a pouty effect. Go grab one of these if you are looking for a naturally flushed look. They are oil-free and very lightweight! I LOVE THIS STUFF. No, Seriously. I do. 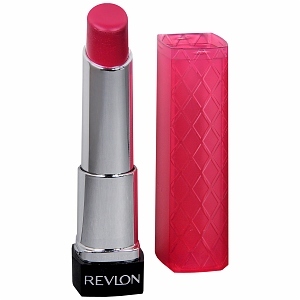 If you haven't tried the Revlon Colorburst Lip Butters, do it! They are gorgeous. I bought this Rasberry Pie color and it is beautiful. The next colors on my list to buy are the Candy Apple which is kind of a tomato red, and Sweet Tart which is the prettiest candy light pink (perfect for Spring/Summer). These lipsticks are great for those of you who want to try out some color but don't want to spend a fortune finding the right shades. Oh, and no need to wear Chapstick with these babies...they have mango, Shea butter and Coconut butter to soothe your lippies. The only con-- because of the buttery, glossy finish, they aren't going to last for a long time. Just re-apply and you are good to go. You don't need a lip liner with these. I was looking for a shampoo that I could use once a week that would completely strip my hair of residue that had built up from the product I pile on. 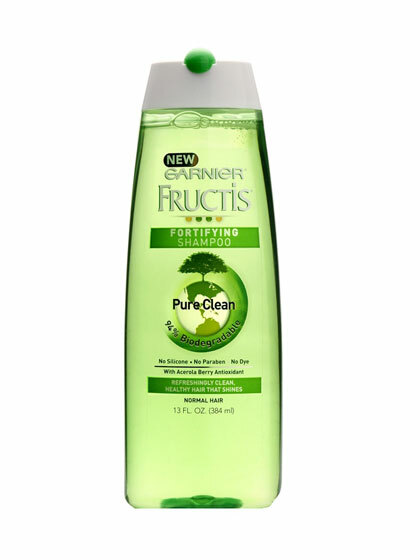 This Garnier Fructis Fortifying Shampoo works great. I didn't want to spend a lot of money on a shampoo that I only use once a week and is literally only on my hair for 30 seconds. Still, it works great for what I needed it for. It is infused with Acerola Berry Antioxidant and does not leave a heavy residue. I usually use this on Sunday when I plan to let my hair air dry. (By the way, this is one of my favorite things to do. I love air drying my hair.) Plus, I love the smell. It is so clean and fresh. No Silicone, no Paraben, and No Dye. If you feel like your hair has been weighed down lately, try a fortifying shampoo. I also really like the Neutrogena Anti-Residue Formula as well. 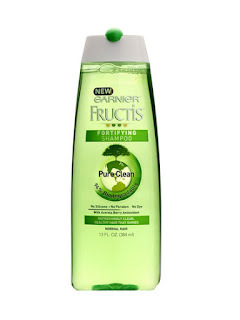 I just finished it up and decided to try the Garnier Fructis and so far, I like! 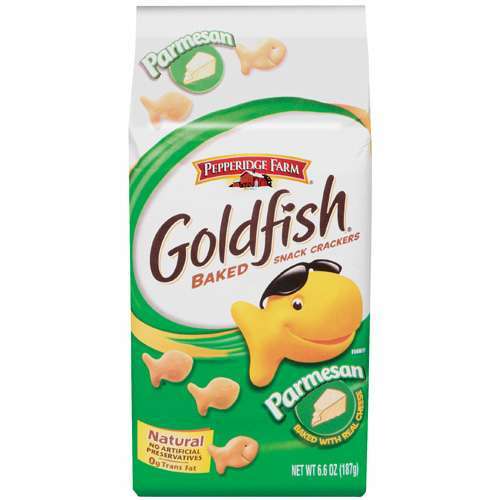 For my non-beauty addiction at the moment, I would like to present to you Parmesan Goldfish. I ate an entire package of these in a day and a half. Woops. Now, I am sitting here (snowed in) and I am completely out. I feel like I am going to get anxiety because I can't get out to buy more. By the way, these are so good in place of crackers in chicken noodle soup. Annnd, they smile at me when I eat them. Just look at the package. Okay, I am officially a looney tune and am going to sign off. As always, thanks for reading! 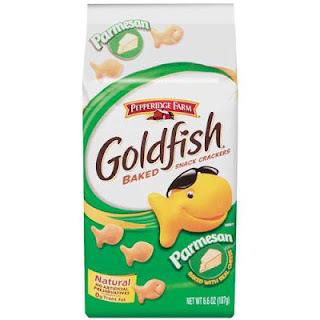 I can't wait to try that foundation...and those Goldfish!